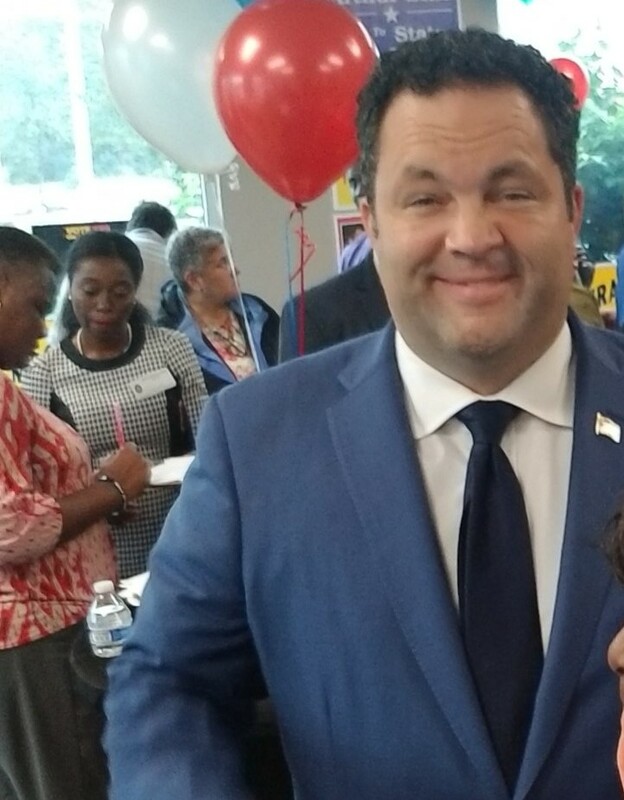 Jealous held a news conference Tuesday in Baltimore in which he objected to what he described as the governor mocking his speech impediment. The former NAACP president decried what he calls negative tactics used by Hogan and his supporters, including the Republican Governors Association, which is spending millions on ads attacking Jealous. Jealous said Hogan’s latest video could encourage bullies to pick on children who have a speech impediment. Jealous said he urged Hogan to stop using negative campaign tactics and put forth positive plans for how to improve the lives of Marylanders. What can one even make of all of this? So in that video, you see Jealous twice state that he is running for President (once in a video released by his own campaign) and once say he was running for Governor of Virginia, in front of a crowded room, where he made no effort to correct his gigantic gaffe. So now watch this meandering press conference today, where Jealous accuses Governor Larry Hogan of being a “bully” and brings on more individuals who try to back up his claim that the Governor is a bully. It’s really one of the more bizarre and pathetic press conferences in the history of Maryland politics. Jealous could have taken the high road, admitted his mistakes, and moved on with his campaign. But his campaign is so haphazardly run, so mismanaged, and so misguided, that he decides to take this approach. Jealous is basically hiding behind kids with speech impediments to cover his own clear gaffes. He is claiming victim status rather than own his mistakes. Incidentally, his words were rather clear when he cussed out a female reporter. And what did he get for his bizarro world press conference? Nothing, because hours later the new Washington Post-University of Maryland poll came out and showed the Jealous campaign getting its doors blown off with a 20-point deficit, where voters trust Governor Hogan more than Jealous on virtually every issue, including K-12 education. If the Jealous press conference was designed to get attention away from his bad polling data, it sure didn’t work. I am old enough to remember when the @mddems were ruthless, machine politicians who used every trick in the book to monopolize power in this state for over a century. Now they complain the Republicans are mean, nasty bullies. It’s been quite a decline for the Maryland Democrats from the party that Mike Miller said would bury Republicans face down, six feet underground, and they wouldn’t be heard from for 40 years.